One of our Favorite Summer Recipes is this No-Bake Strawberry Lemon Cheesecake Recipe. This only requires a few simple ingredients and all you need to do is chill overnight in the fridge so you don’t have to worry about heating up your oven on a hot summer day! My favorite way to make this recipe is in the Mini Graham Cracker Crusts you can buy at the store, but you can also make a larger more traditional size cheesecake if you wish. 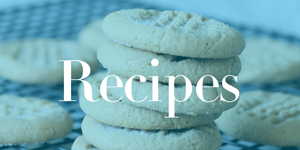 All you need for this recipe are the following: Cream Cheese, Sweetened Condensed Milk, Vanilla and Lemon Juice. Then just add in the Pie Crusts and Fresh Strawberries and you’re good to go! Combine Softened Cream Cheese, Sweetened Condensed Milk and Vanilla in a Mixer and Mix Well.